Hello! Hopefully it is not freezing where you live. Where I'm from the highs have been in the minus degrees, brrr. I guess we kind of deserve it with the warm fall that we had! I have a card for 3 challenges today - Atlantic Hearts Sketch Challenge, As You See It Challenge and Simon Says Stamp. The Sketch was the challenge for Atlantic Hearts, the challenge was Sparkle for As You See It and something New for Simon Says Stamp. So for my Sparkle I have the squares cut out of black glitter paper. Then the snowflake was cut out of silver glitter paper. The glitter paper is from Close To My Heart. The New is the background, I made it out of alcohol inks that I got for Christmas. I used Ranger alcohol inks in Sailboat Blue, Cloudy Blue and Lemonade. Just put them on my ink blending tool with the felt pad and created my stripes on Yupo paper. The sentiment is from the CTMH set Sending Smiles. What a stunning background! It made me think of the Northern Lights. Your silvery snowflake makes a great focal point over those black sparkly inchies! Thanks for playing along with us at As You See It Challenge! Oh I'll bet that's so glittering in person especially with the black glitter behind it too. 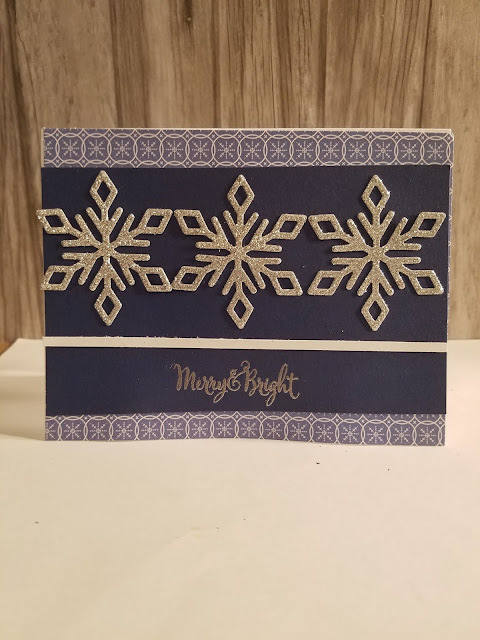 Beautiful glittering snowflake and love how you incorporated the sketch behind it. Thanks for sharing with us at AHSC this week. Have missed you at Color Dare, hope you visit us again. Oh wow! Lovely and lots and lots of sparkle! The alcohol ink background is just fabulous. 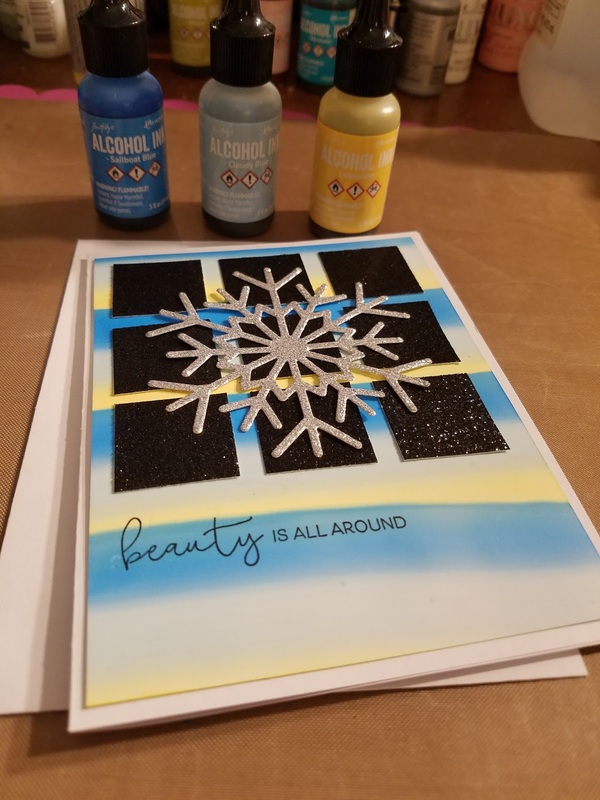 I've been considering getting some alcohol inks and cards like this move me closer to doing so! 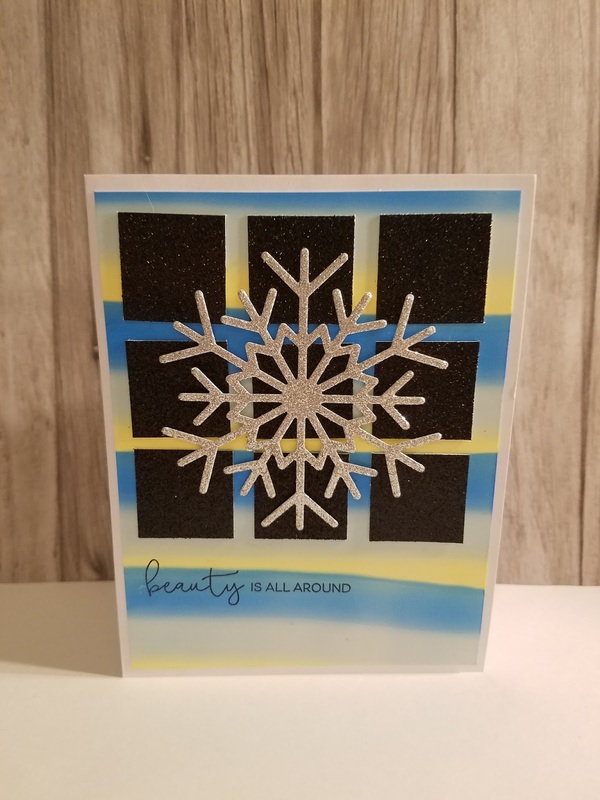 The snowflake is a stunner and looks so good placed over the glittery squares. Thanks for joining us at As You See It this week. Happy New Year to you! Such a fun and different card. The background is beautiful ! 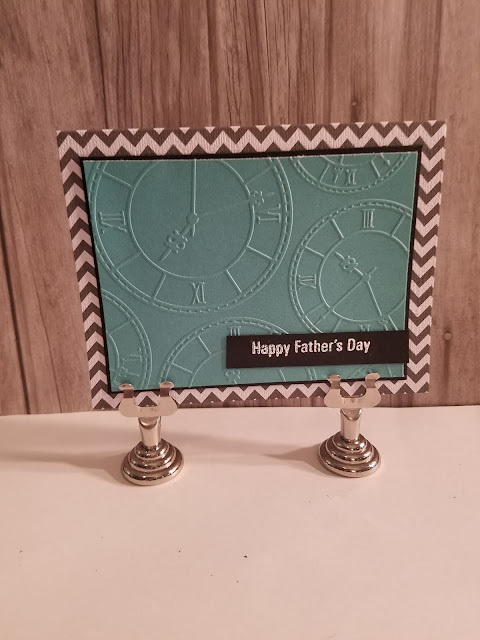 I love the background of your card and the way you used the sketch! Such a beautiful card. Thanks for playing along at AHSC. Pretty technique, lovely snowflake and the sentiment is so sweet! Thanks for playing with us at As You See It this week! great card! It is quite cold here as well, the snowflake is appropriate. Thanks for joining us at Atlantic Hearts Challenge. 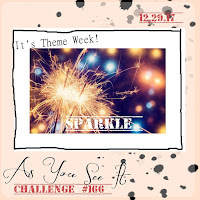 Love your background; not a "typical" background for black glitter squares and a glittery snowflake - it totally works! Thanks for joining us at Atlantic Hearts Sketch Challenge. 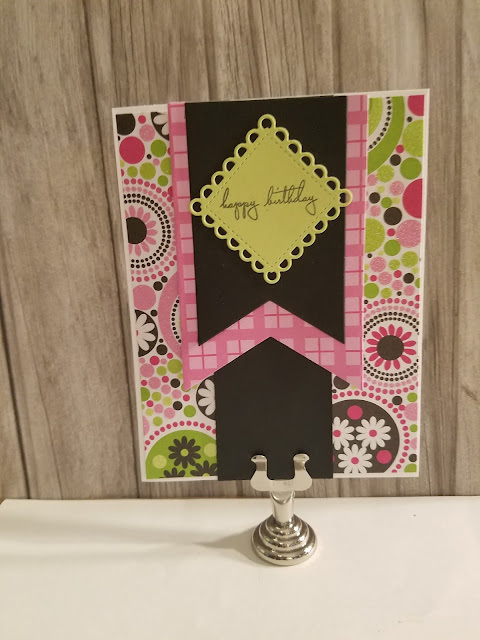 Fabulous card, Tammy! These colors are gorgeous and very striking when paired with your black and silver glitter papers. Thanks for sharing with us this week at Atlantic Hearts Sketch Challenge. It's definitely cold where I am! So this card is right up my alley! Love the large snowflake and the feeling of a window pane! Beautiful! Thanks for joining us at As You See It! Love your card! What a beautiful alcohol ink background! Thanks so much for playing along at Atlantic Hearts!